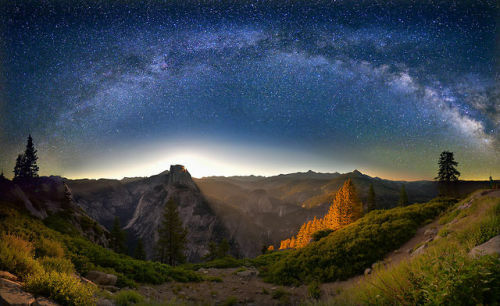 A gorgeous shot of the Milky Way and sunrise over Yosemite National Park in California. David Shield created this image from 11 separate shots. He photographed the night sky at 11 pm and captured the sunrise at 6 am the following morning.